I've heard some mothers state that they don't have space for puzzles. Or they do not permit their children to have puzzles as the pieces get lost too easily. Or if they have many toys, games and puzzles in the house, they just have a lot of mess to clear up. These thoughts are cause for concern, however, there are ways to help maintain your puzzles neatly in their boxes without their becoming a mess or having pieces lost. That issue we can deal with in another post. Have you stopped to consider the benefit to a child or adult from doing puzzles? The image shown here is of a puzzle that does not have a detailed picture on the pieces. Of course, if the pieces had a design on them, the potential for improving developmental skills is greatly enhanced. Let us look for a few moments at these four pieces that are correctly or incorrectly interlinked. What skills are required for your child? Firstly, hand-eye co-ordination to position the pieces. Fine motor skills to be able to manipulate the puzzle pieces. The child also needs to be able to see and understand the shape of the piece that has a gap and the piece that has a protruding section and be able to determine whether these are an accurate fit or not. This is the beginning of problem solving and decision making. Once a puzzle also had designs and details on, the child needs to be able to match shapes and colours. Those who struggle with this skill will be able to improve their colour matching and matching shapes by doing puzzles. Being able to remember the picture as a whole and to differentiate which parts are required and in what positions to make up the whole, are also parts of visual perception that are required and worked on when building puzzles. What else goes into making or building puzzles? Do you have any thoughts? There are actually more skills required and more ways in which you can assist the development of your child in order to ensure effective learning just by doing puzzles. We'd love to hear from you, hence I have left a few for you to add by making a comment at the bottom of this post. 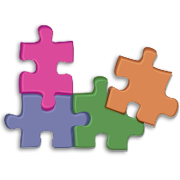 If your child has difficulty learning and especially in doing puzzles, you are welcome to be in touch for an occupational therapy evaluation and possible intervention. If you are looking for affordable puzzles for your children, do take a look at the ones we have in stock in our online store. Thank you for reading this post. I hope you have found it beneficial.